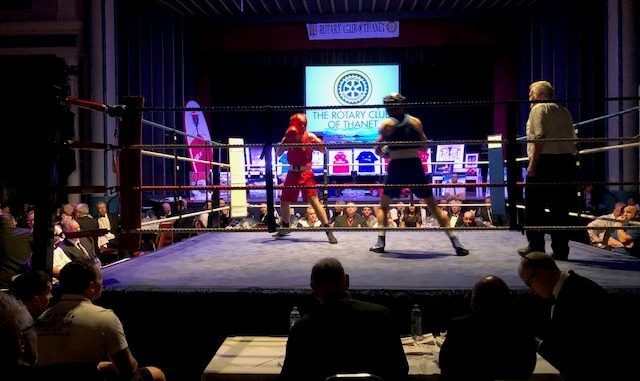 Fifteen boxing bouts with competitors aged between 10 and 24 at an event in Margate have helped to raise £31,000 for charity. 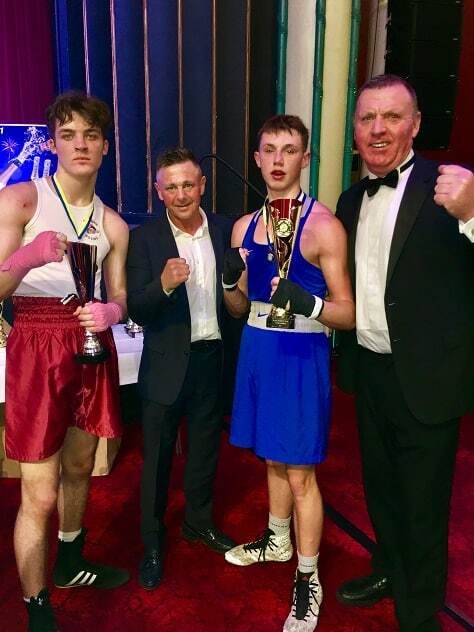 The event at Margate Winter Gardens, organised by the Rotary Club of Thanet with Ramsgate Boxing Club, was attended by boxers from across the south east. The matches were co-ordinated by Ramsgate trainer Simon Tonkiss and special guest was former bantam weight champ Johnny Armour. Ex-Ramsgate boxer and Skip2Bfit boss John McCormack also attended while pubs boss Frank Thorley took charge of the evening’s auction. 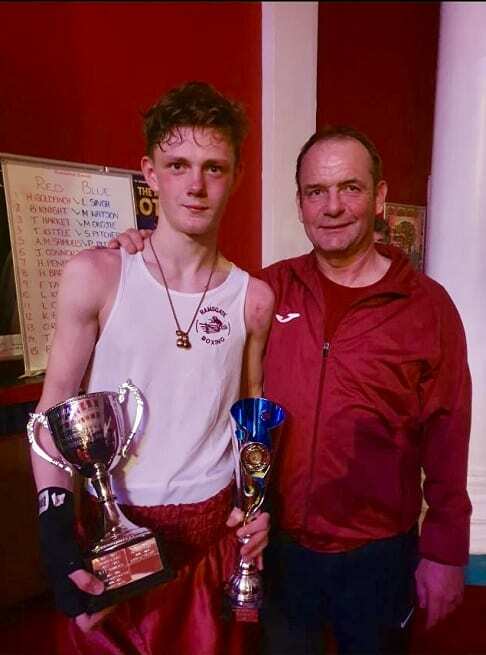 Kieran Penny, coached by Simon, scooped the Barry Morgan memorial cup for best Ramsgate boxer of the year.He also took the prize for best bout of the night. The event has been running annually since 2006. Then-chairman of the Sports and Entertainment committee Neal Elliot and committee members organised the first event and teamed up with pubs boss Frank Thorley who was the link to Ramsgate Boxing Club chairman Les Ray. A number of years later they managed to get Sir Henry Cooper to attend , causing a surge in profits. 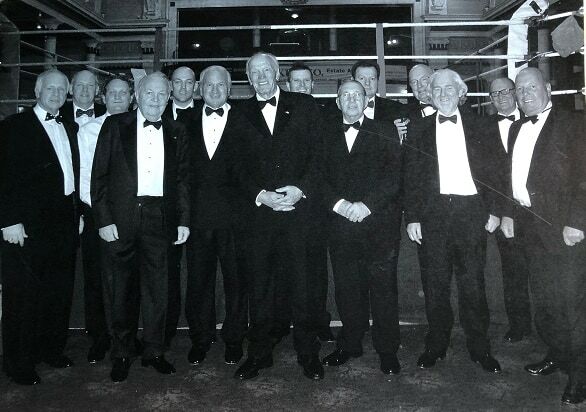 Henry became an honorary member of the Rotary Club and attended the next couple of events prior to his death. Over the last 14 boxing galas £440,000 has been raised with donations going to Oasis Domestic Abuse Services, Pilgrims Hospices, Kent Air Ambulance, Demelza House, Alzheimer’s UK, Yoakley Homes, scout and cadet groups in Thanet, Shelter Box, Porchlight, and other local charities. Ramsgate boxer Finley Tait (pink handwraps) and his opponent William Waller from Creekside boxing club . Middle is Johnny Armour former professional bantamweight Champion and right is ex Ramsgate boxer John McCormack. In excess of £100,000 from the events has been used to enable Ramsgate Boxing Club to expand the premises and continue to create a home for boys and girls who, without the discipline of the gym and the support of the trainers, may not have improved their life prospects. Neal and Frank are both retiring from their roles in the event but Les Ray is expected to continue the annual fundraiser.